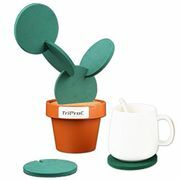 Look for the most popular and cheapest deals on coasters online here. If you are looking for one to match your bedroom or your newest table cloth, you can choose from wooden coaster sets, striped coasters, glass coasters, porcelain and ceramic coasters and several others. 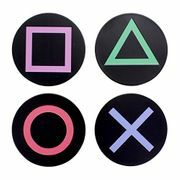 You can also get these coasters customised or buy them in sets of 4 or 6. 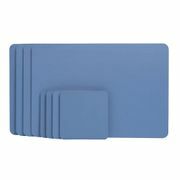 There are rubber, absorbent and handcrafted options to choose from with varying sizes and styles, too. You can grab the best deals and voucher codes from Next, Debenhams, Argos, Studio and John Lewis. 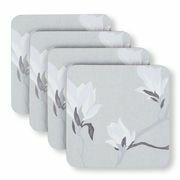 Slate Placemats & Coasters 8pc - LESS THAN HALF PRICE! !